Time to complete: 10-15min Who is it for? 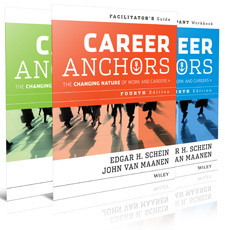 Career Anchor Online is ideal for participants in early, mid, or late career that faces career choices and options, moving up, laterally, or out. Managers can use the tool for discussing career possibilities with subordinates or to create better job descriptions. HR mangers will find Career Anchor valuable for succession planning. Career coaches can tap into Career Anchor results to help clients think about their career issues.